I helped a couple of people this week on the topic of creating multiple relationships between two tables. There is not a lot of information on this topic on the web so I thought I would write about it here. For those of you that have used SQL Server or MS Access, you will be aware that when using these relational database programs, it is perfectly acceptable to create multiple relationships between tables. Power Pivot is not a relational database but a reporting database. It needs data structured in a certain way to optimise the speedy process of finding the data needed and displaying it in your reports. Microsoft had to make compromises in the design to make this process fast, and one compromise is that there can only be 1 active relationship between 2 tables. In addition, the relationship MUST be one to many – no exceptions (although this is changing in Excel 2016 edit: and has already changed in Power BI Desktop as mentioned by Kevin in the comments). You can read more about 1 to many relationships and data shape in this article from my knowledge base. Why would you need Multiple Relationships at All? The immediate temptation is to then create a second relationship between Sales[Ship Date] and Calendar[Date]. When you do this, you will get the following behavior as shown below. Note there are now 2 relationships, but one of them (the second one added) is a dashed line. If you hover the mouse over this new relationship with the dashed line and then right click, you will see a menu pop up as shown below. Notice that one of the menu options (#1 above) is “Mark as Active”. This is a clue that the relationship with the dashed line is currently “inactive”. When you hover the mouse over the other relationship with a solid line and right click, the menu (#1 below) now shows the option to “Mark as Inactive” indicating this one is currently active. This is really the only information you will see in Power Pivot that refers to active and inactive relationships. If you change the inactive relationship and make it active, then the active relationship will automatically switch to inactive. For this blog post, I will keep the relationship between Sales[Order Date] and Calendar[Date] as the active relationship and leave the other relationship as inactive. I then set up the following Pivot Table – the Row Labels are coming from the Calendar[Date] column. So now the problem is, how to count the orders that shipped on each day? DAX allows you to override the active relationship and use the inactive relationship in your formulas instead. To do this, you must use the DAX function USERELATIONSHIP inside a CALCULATE function as shown below. The relationship MUST exist in the data model and be set as inactive for the above to work. You can’t simply use the function USERELATIONSHIP and specify two columns and expect it to work – you must have the inactive relationship set up first. The Pivot Table now will look like this, showing for each date, how many orders were taken and how many orders were shipped. Another approach to this problem would be to simply load a second Calendar Table and call it ShipCalendar (or similar). This would mean that you have 2 calendar tables and can use the one you need for the problem at hand. Which approach you use is really down to personal preference and also how you are planning to report on your data. In the Pivot Table above, you can see that it is easy to look at any date and see how many orders came in and how many orders were shipped out. However the orders counted in these two columns are not the same orders (orders coming in on any date will ship either the next day or 2 days later in this test data). If you want to be able to filter on orders that were taken on a certain date and then see when they shipped, you would need to change the pivot table layout like shown below. The date (#1 above) comes from the Calendar Table and the dates on Rows (#2) come from the Sales[Shipped Date] column. So this Pivot Table allows you to select an “Order Date” and see there were 9 orders, 4 shipped the next day and 5 shipped the day after. The only problem with this approach is that the Shipped Date is coming from the Sales table. Clearly it is working, but it is not best practice. It is much better (particularly in large data models) to always use a Lookup Table to filter your Pivot Table (the filter on Rows in this case). So better practice is to bring in a second ShipCalendar and remove Sales[Date] on Rows in the pivot table and replace it with ShipCalendar[Date]. (Note: I have now removed the inactive relationship so the DAX formulas above will not work any more). The result with this new lookup table added will be the same as using the Sales[Date] column in the Pivot Table, but this second approach with a second lookup table will be much more performant and optimised for Power Pivot (which is important when you have a lot of data or 32bit Excel). You can download my sample workbook here if you like. In summary, you have a choice to either create multiple relationships between two tables, or alternatively you can bring in a second copy of your lookup table. There is a limitation with this approach because you can only use a column from your lookup table once in your Pivot Tables. In the example above this meant you could not use the Calendar[Date] column twice in the one Pivot Table. You will have 2 sets of columns that CAN be used together in the one Pivot Table. You will need to be careful that users are not confused, and should consider naming the columns in the lookup tables with unique names like Calendar[Order Date] and ShipCalendar[Ship Date] for clarity. 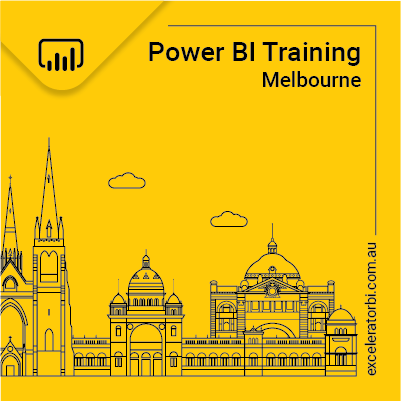 The relationships appears to allow users to do M to M, 1 to M in Power BI Desktop. Any comment on this? Yes, this is the same new functionality that is available in Excel 2016. I am holding out on having an opinion whether this is a good change or not, as I haven’t really used it yet. As long as performance and behaviour can be controlled, I guess I will be happy. Thanks! Very good post. Necessary info right in time. Is there any word on if the 2016 engine will natively support role playing dimensions? It’s very frustrating having to load multiple dimension tables. One of my SSAS tabular models currently has 6 identical dimension tables of 50,000 employees! It’s a performance killer. I am not aware of any changes to this. I am intrigued as to why you need 6 identical dimension tables. This implies that there must be 6 non identical key columns that need to join to the same fact table. Or am I missing something? Can you post a pic of the data model connections? I am starting with power Bi and I found this very interesting, maybe my questions is a little dumb but I have to ask, the calendar table is like a predefined table? or it is necessary to create it in order to start working? 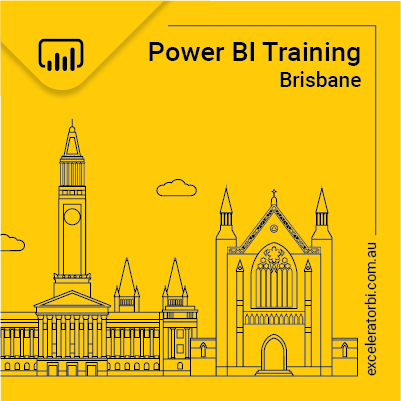 I am new to power BI and Dax. I have been following your blogs and the articles. I can see what you are suggesting here about the multiple dates and date table. As you mentioned that we can achive the active and inactive relationship using DAX USERELATIONSHIP function and thus we dont have to duplicate the date table. The problem I have is that I have a task to build a data model and deploy it as a content pack on the service and the end user will use the model to create the reports. In the service you cant write DAX or create measures. So I cant use DAX ‘USERELATIONSHIP’ function. Does this mean that I have to create multiple DIm date table to link the dates? correct, you can’t add measures in the service (yet). But this doesn’t imply you must use multiple tables, just that you must complete the data modelling work before publishing. So decided which approach is best and deploy that before publishing to the service. If USERELATIONSHIP is better for you, then do that. Excellent explanation and example Matt. I appreciate your work and find your style easy to understand. Thanks for sharing this post. I was looking for the best practices for using Role dimensions in Power BI model. Using 2 dimensions sounds to give more flexibility in Power Bi reports but the issue comes when a slicers get used on Date e.g. for selecting FY as 2 slicers must be used (one for each Date dimension) and this makes the users confused. Do you have any suggestion to use one slicer to filter 2 Date tables? Why do you have 2 Date Tables? It is one Date table but used by 2 dimension similar to Calendar and ShipCalendar in your example. Thanks Matt, for the alternate option how we can sync 2 slicers that using different fields( e.g. one uses FY from Calendar and another FY from ShipCalendar) in one page? I thought Sync is replicating a slicer in different pages. Correct Matt, with slicer groups it works. Appreciate for your help.